This is an image from the Leica M9 with 50mm Summicron. The file has been converted from a raw file with Lightroom’s black and white module. I enjoy black and white photography. With the lack of color I feel like the viewer has less distraction and spends a longer time engaged with the photograph. That’s not to say that color can’t tell a story or convey a point or share a moment, it’s just that black and white comes across more neutral and lets the viewer draw more conclusions. 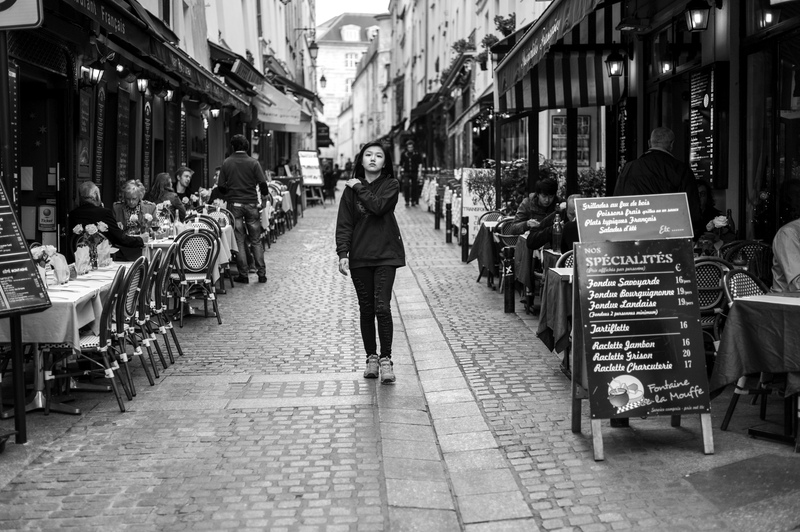 Pantheon – This is a good example of what the Sony RX1r can output straight from the camera. I’m pleased with the tones and contrast in this jpeg. It has been kind of funny that in the past when I’ve presented photos on Facebook or any other social media outlet they are received in a completely different way. First, black and white photos generate very little traffic and few if any comments. The people that do engage with the black and white photographs are generally, and I’m trying to use the word very loosely as not to offend, more into photographic arts and esthetics of photography. 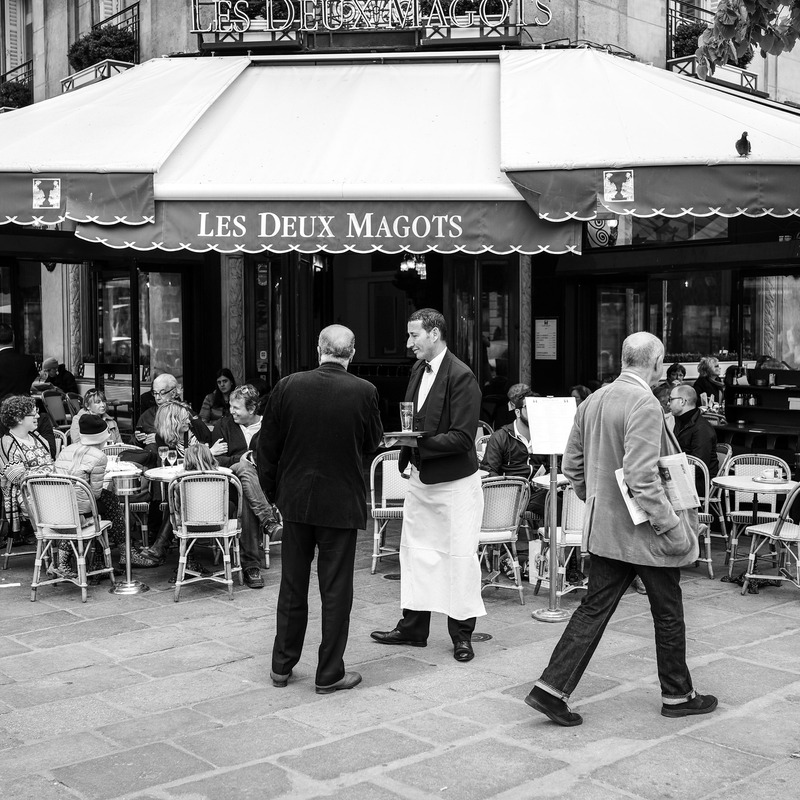 The Waiter – A Sony RX1r image shot in RAW and converted within Lightroom’s black and white module. There are a few different ways I come about a black and white image. The most common way is to convert from a RAW image. 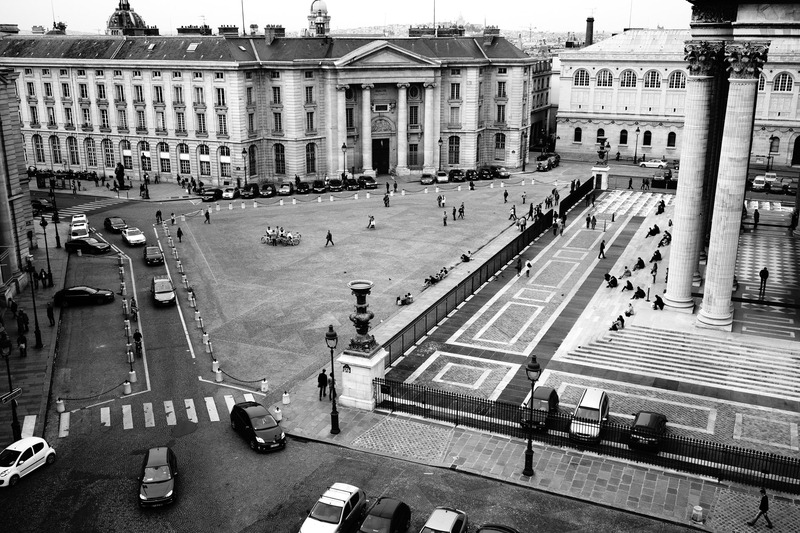 The second is to capture the jpeg file as a black and white image. With the M9 and the RX1r I capture two files, one RAW and one jpeg. The jpeg is usually preset to be processed in-camera to my particular tastes. For the Leica it is+1 contrast and +1 sharpness and on the Sony it is only +1 contrast. Generally I like to manually process the M9’s raw files with Silver Efex Pro, but with the Sony I’ve been pleased with the OOC black and white jpeg files. 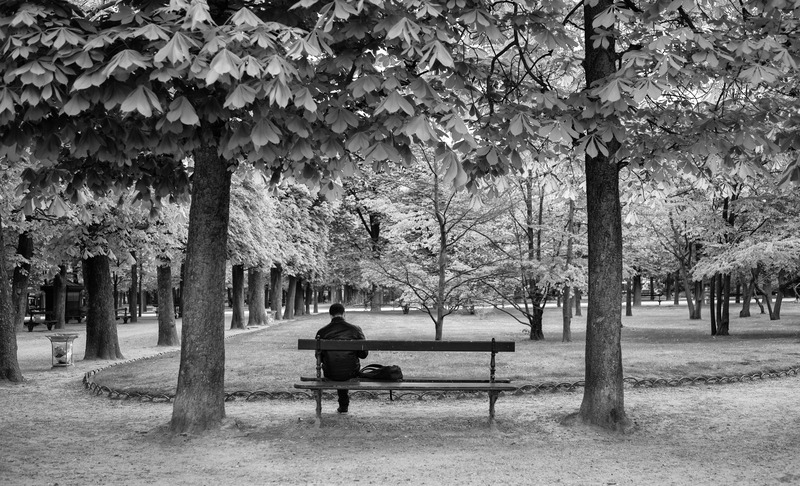 Jardin du Luxembourg – Sony RX1r. Yellow filter applied in Silver Efex Pro 2, by far the best black and white conversion software I’ve used. 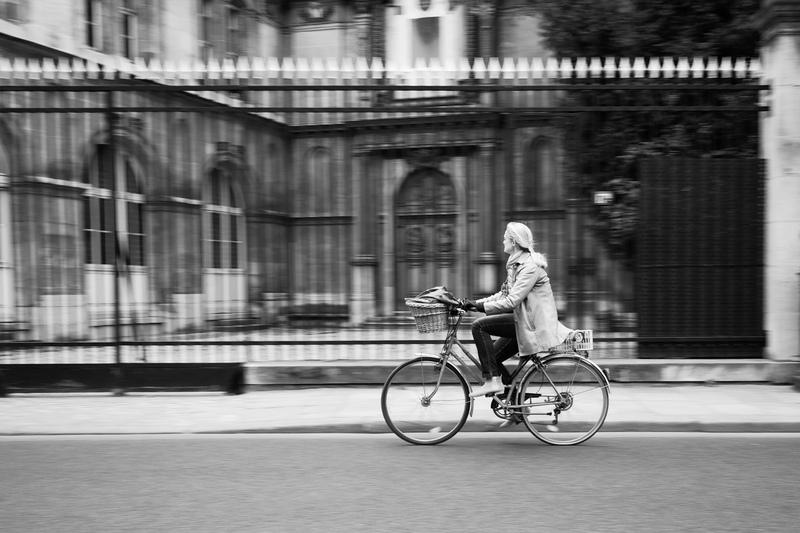 Riding past the park – Leica M9 image process with Silver Efex Pro 2. Four friends over the Seine. Holding a piece of the park.